With three different designs the survival credit card multi tool set helps you handle various tasks during camping, hiking and more outdoor activities. Like the idea? Let’s keep checking. 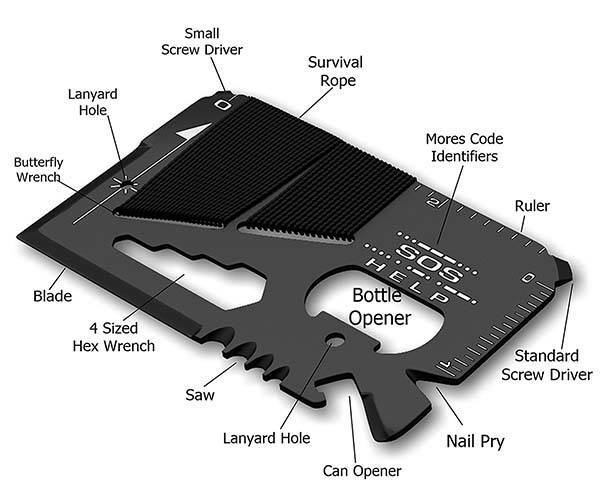 This is a set of well-designed and practical multitool survival cards designed for various outdoor activities. The set contains three different multitool cards, and as shown in the images, each multitool sports a compact and slim appearance design, and the credit card-shaped form factor allows you to take them with you wherever you go. The first multi tool features a hard plastic casing that holds 14 removable tools including a straight cutting blade, blade sharpener, compass, ruler, bottle opener, toothpick, tweezers, fire starter flint, emergency whistle and more. The second multitool card is made from stainless steel for a solid and long-lasting construction, and similar with the multitool, all tools have been integrated on the card including ropes, nail pry, can opener, cutting saw, side knife, wrench and more. 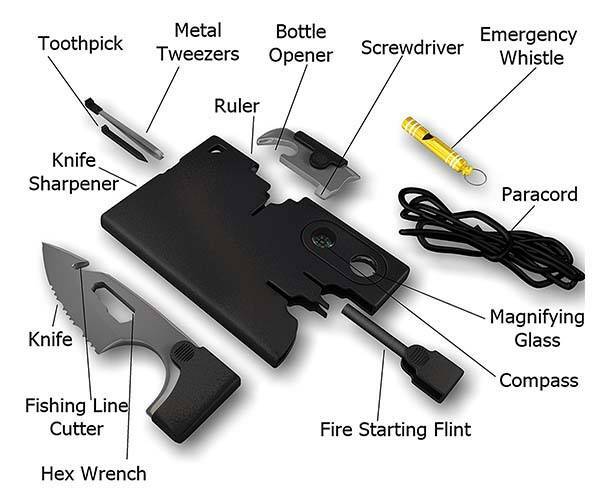 The last survival tool is a credit card knife so that you can better handle cutting tasks during any outdoor adventure. 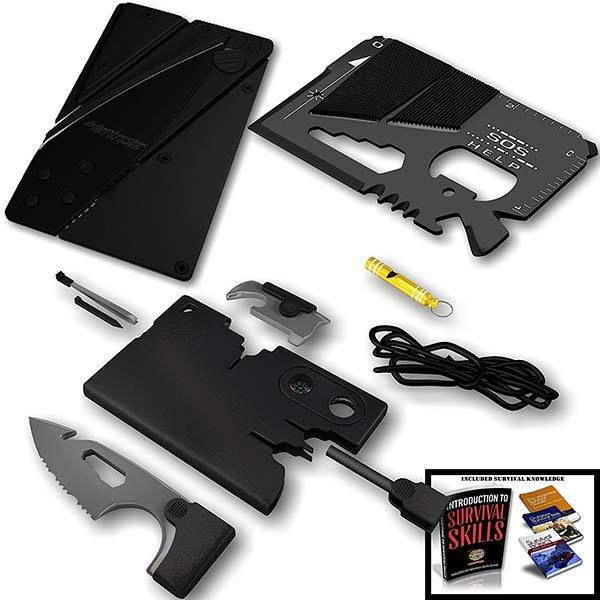 The survival credit card multi tool set is priced at $19.95 USD. If you’re interested, jump to here for its more details.